I love skiing and if you are like me, I am always looking for inspiration for new places to hit the slopes. Recently, I have found myself getting more inspiration not from adventures on the Discovery Channel but from other bloggers and influencers. 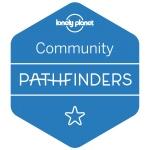 This is why I have put together this collaboration ‘Best Ski Resorts in the world, chosen by Bloggers’. 2 Would you like to be in our next hiking collaboration? 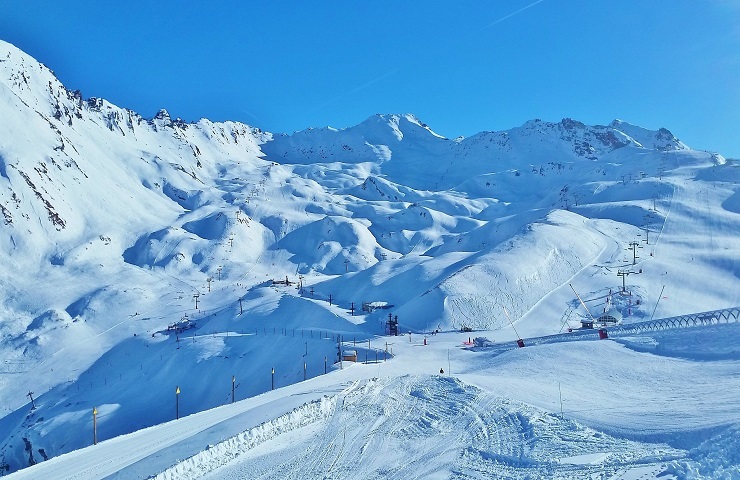 From Alyeska Ski Resort in Girdwood, Alaska to the posh slopes of Val d’Isere Ski Resort in the French Alps, see what Bloggers are saying about their favourite resorts in the world. It’s time to get inspired for your next ski adventure!!!!! My favourite ski resort is Sainte Foy in the French Alps. There are so many ski resorts in the French Alps that it can be tough choosing a favourite, but I’d always choose Sainte Foy Ski Resort. 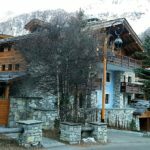 It’s the hidden gem in the Tarentaise Valley that few people know about, even though it’s only a stone’s throw away from well-known destinations such as Val d’lsére and Les Deux Alpes. When it comes to skiing, Sainte Foy Ski Resort might be small, but it packs a punch. 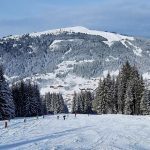 Sainte Foy has some of the best off-piste skiing in the area, but there are runs for skiers of pretty much every competency, from complete beginners to total pros. 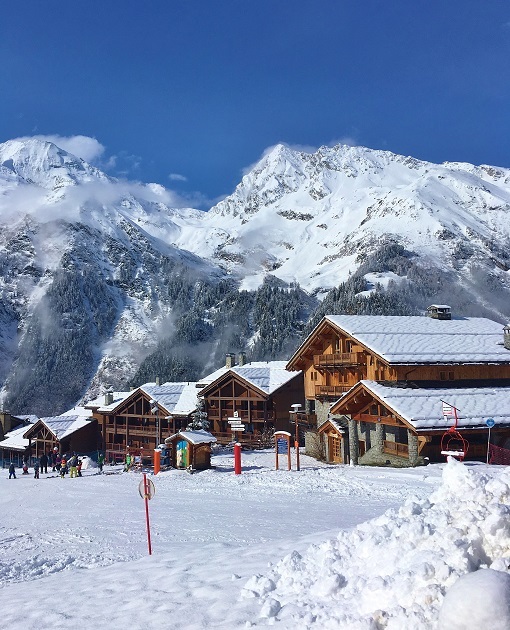 The apres-ski might be a bit low-key for some people’s tastes but the village is something straight out of a chocolate box, with cute wooden chalets clustered in small groups and backing up onto the nursery slopes. Plus, Les Brevette, a little way up the mountain, serves up some of the best tartiflette you could ever hope to feast on after your time on the slopes. 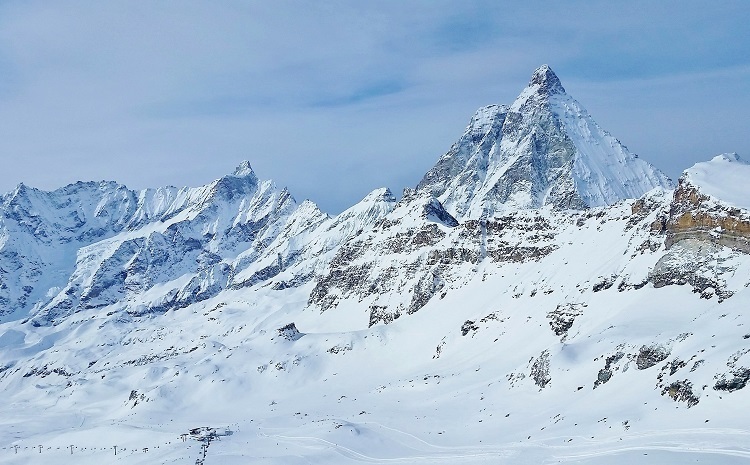 It goes without saying that the skiing in Val d’Isere Ski Resort is fantastic and is up there with some of the best ski resorts in the world. The ski runs range from nice easy nursery and green slopes, to incredibly steep and winding black runs that kept my adrenaline junkie friends happy too. This is one place you won’t mind falling over – the snow is so soft and powdery, thanks to being so high up in the Alps, so it feels like you’re landing in clouds! The little alpine village (actually it’s one of the biggest) is set in the most beautiful landscape and has everything you could want for a few days in the snow. Shops, restaurants as well as a huge choice of accommodation from self-catering apartments, luxury lodges and hotels are all in good supply here. Those who are not ski fanatics can also make use of the plentiful spa facilities too. Be warned: Val d’Isere Ski Resort is one of the most expensive ski resorts in the world, so choose wisely! And I can’t talk about Val d’Isere Ski Resort without mentioning the apres ski! The resort is full of bars, pubs and clubs to keep you going throughout the night – long after the ski lifts shut down. With so much on offer in Val d’Isere, grab your skis and get going! One of our favourite family-friendly ski resorts in the world happens to be Gala Yuzawa Ski Resort located a mere two and a half hours outside of Tokyo. My family and I visited Japan in the Spring of 2016 to see the cherry blossoms in bloom and were surprised to find that ski season was still in session. 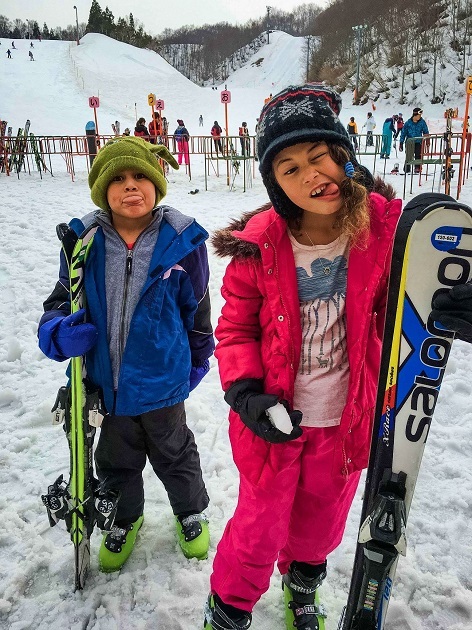 Whether you’re a ski enthusiast or just starting out, like my kids, the resort caters to all ages and levels. We caught the bullet train out of Tokyo, which drops you off at the base of the ski resort, and in less than 30 minutes we were able to purchase our lift tickets, book our kids ski lessons in English (which you have to do before 2 pm), and rent our full gear. While the kids were taking lessons, my husband and I were able to head to the spa and relax in the onsen –truly something for everyone, skier or not! Lake Louise Ski Resort is not only one of the most beautiful spots in the British Colombia-Saskatchewan sandwich we call Alberta; in my eyes, is the epitome of Canadian ski culture. Mornings are spent admiring the misty views of the Rocky Mountains on gravity-defying chairlifts and taking on some of the best runs in the country. As the sun starts to sink, you’ll start to notice fellow skiers and boarders pulling beers out of their pockets and sleeves and starting to migrate to the chalet for poutine, caesars, and maybe even a line of shots carved into an old ski. Lake Louise Ski Resort will blow your mind with the views, challenge any skier of any skill level, and show you a truly Canadian good time. 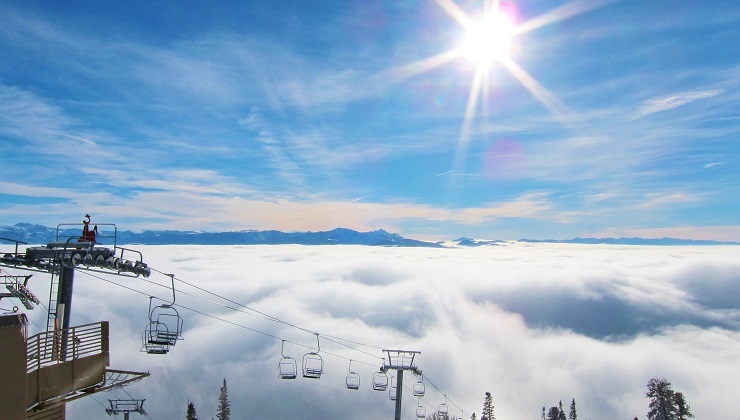 My all-time favourite ski resort is Revelstoke Ski Resort, British Columbia Canada. Located in the heart of the Canadian Rocky Mountains, this small ski town is relatively unknown even to most Canadian skiers! 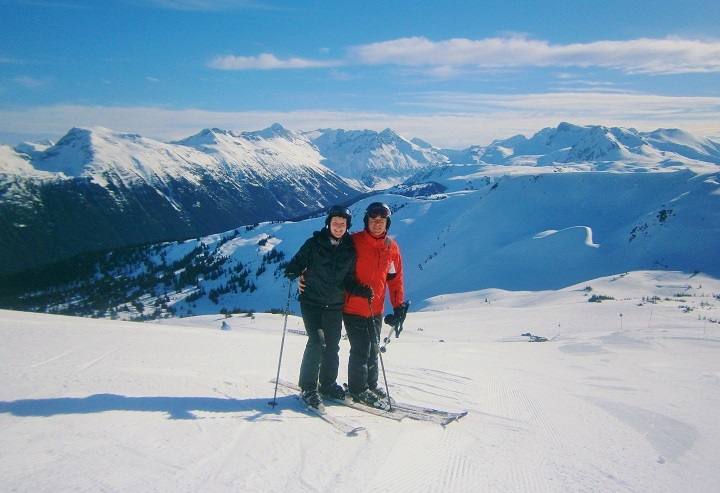 Revy Ski Resort is one of the best places to go skiing in over the winter holidays. It always has a thick base, meaning your chances of hitting rocks or tree branches are minimal. And every year I have gone (4 years in a row! ), there is always a massive dump of fresh powder! The hill is divided in two: the lower half, which is perfect for beginner to intermediate skiers, and the upper half, which is perfect for advanced or expert skiers! I love skiing through the trees in the upper half, as the moguls are always perfectly coated with a fresh layer of powder. And at the end of the day, you can take your sweet time going down the mountain on the longest downhill run in the world! Take the last lift up to The Last Spike, and follow the trail for 15 kilometres down the mountain! Boasting dramatic mountain scenery and plenty of powdery snow, Whistler Ski Resort, on the west coast of Canada, is a world class ski resort. Located just an hour and thirty minutes drive from Vancouver, along with the Sea to Sky Highway, a spectacular drive. The resort’s ski area is one of the largest in the world, with more than 200 marked pistes and 1,610m of vertical. Running from mid-November until May, its season is long and snow sure, with an incredibly reliable average snowfall of 12m. Whistler Ski Resort is a cosmopolitan resort with plenty of shops, restaurants, cafes and bars, perfect for skiers and non-skiers alike. Whistler Ski Resort is very family friendly. Whistler Kids, the ski school for children, is the best we’ve ever come across. With fantastic instructors, small groups and even playgrounds on the slopes, Whistler Kids is always a highlight for our three boys. Away from the slopes, there is ice skating, zip lining, tube riding and much more, plenty to keep the most active children and adults busy. Whistler is our favourite ski resort anywhere in the world, and we’ve tried a few! My favourite ski resort is Grandvalira in Andorra. The country doesn’t have an airport, so we flew to Barcelona. This also allowed us to combine our ski holiday with a short city break. From Barcelona Airport there are frequent transfer buses to the ski resort. The journey takes about 3,5 hours. Grandvalira Ski Resort has 210 km slopes and 67 ski lifts. The whole area is really well connected. Everyone will find slopes for their ability as there are so many. There is also a good selection of restaurants. We bought ski passes which came with lunch vouchers, which saved us money on food. Besides skiing the area offers other activities as well. You can try mushing, zip lining, snowshoeing and snow tubing. I had my best ski holiday in Andorra, I will surely return again! Jackson Hole Ski Resort, Wyoming is an outdoor-lover’s paradise. It’s rugged terrain, extreme ski runs, and Wild West feel make Jackson a great place to ski or snowboard. Jackson Hole is a valley nestled at the base of the Teton Range, a subrange of the Rocky Mountains. It is perhaps one of the more challenging ski resorts in the United States. Even the most experienced skiers might cower in fear upon looking down some of the intense Double Black Diamond runs. The Ski Resort is home to what has been coined ‘the scariest ski slope in America’, Corbet’s Couloir. But don’t think you have to be an expert skier to enjoy this winter playground. For the novice or intermediate skier, the resort offers more than 130 runs ranging in difficulty. One of the greatest aspects about Jackson Hole Ski Resort is the après ski atmosphere at the base of the mountain and in the small town of Jackson, which is just outside the resort. The town is as unique and charming as any you’ll find in the United States. With wooden sidewalks and cowboy saloons, a visit to this enchanting part of the country will have you feeling like you stepped onto the set of an old western movie. I may be a bit biased since I am repping my hometown, but Alyeska Ski Resort in Girdwood, Alaska is my favourite ski resort- hands down. Alyeska feels like everyone’s home resort with its intimate and friendly vibe. The view from the top is unbeatable. The resort nestled in a pristine mountain range overlooking a beautiful inlet, home to a local pod of Belugas! 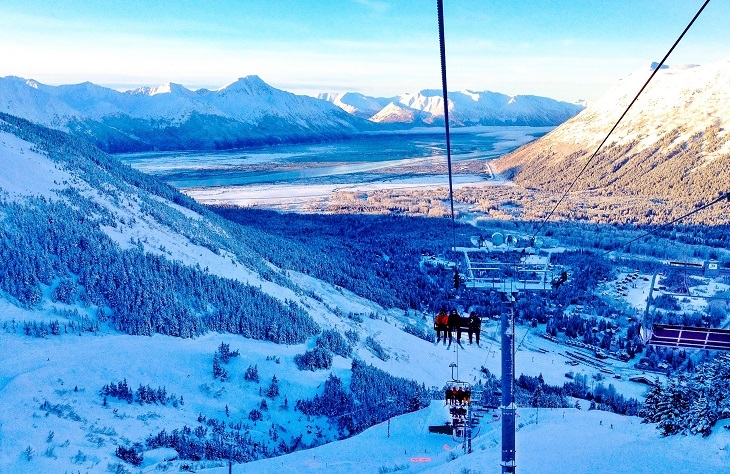 Alyeska Ski Resort has 76 lifts and terrain to cover 3,200 vertical feet of mountains, advanced off-trail tree runs, groomed trails, bunny hills and even some killer chutes. They average 670 inches of snow per year, with a recent year getting almost 900 inches! If you get tired in the middle of the day you can take a break at one of the two mountaintop bars for tasty food and a panorama view of the mountain and you can even spot seven glaciers! After a day of snowboarding, you can relax at Hotel Alyeska’s luxury resort and spa. Or, you can party with the locals, and head to an Alaskan style Apréski at the Sitzmark or the Silvertip. Good luck surviving to ski another day, we Alaskans know how to party! Gudauri Ski resort in Georgia facing the Caucasus Mountain range. Unlike other ski resorts of the country, it’s only 2 hours drive from the capital, Tbilisi; therefore, many locals go for skiing here for the weekend. With the elevation of 2,200 meters above the sea level, the resort is tree-free, exposed to the sun, and offers breathtaking views of the mountains. The resort is best for the free-riders, but if you are an adventure junkie, you can even Heliski here. The resort has a high standard, 57 km long ski runs and seven lifts. The elevation of those runs goes from 1,990 meters above the sea level up to 3,279 meters. There are many bars, and cafe’s along the runs for you to have a snack or your favourite beverage on your breaks. 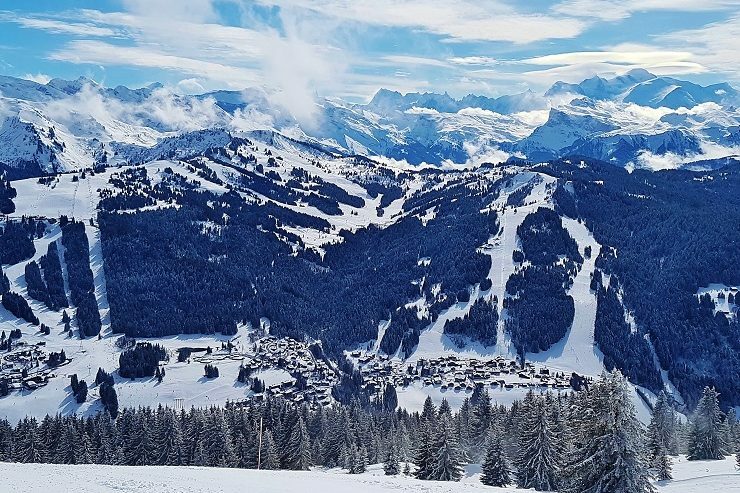 One of my favourite ski resorts is Champery, Switzerland which is part of one the biggest ski areas in the world, Portes de Soleil, with over 600kms of runs. It is a postcard-perfect alpine village with beautifully styled hotels and chalets. 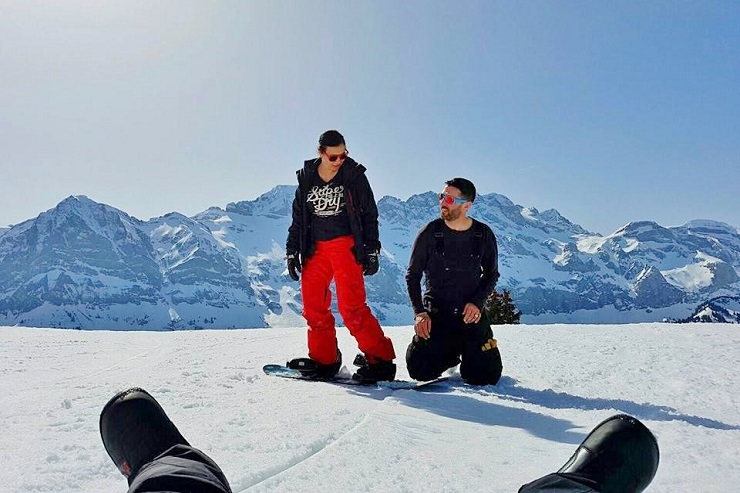 The atmosphere is relaxed, I love the fact you can ski in two countries ( Switzerland and France ) and there are plenty of places to eat and things to do especially if you love sports and the outdoors. And with it being around an hour and a half from Geneva airport, it makes it a great resort not just for a week skiing but for a long weekend too. 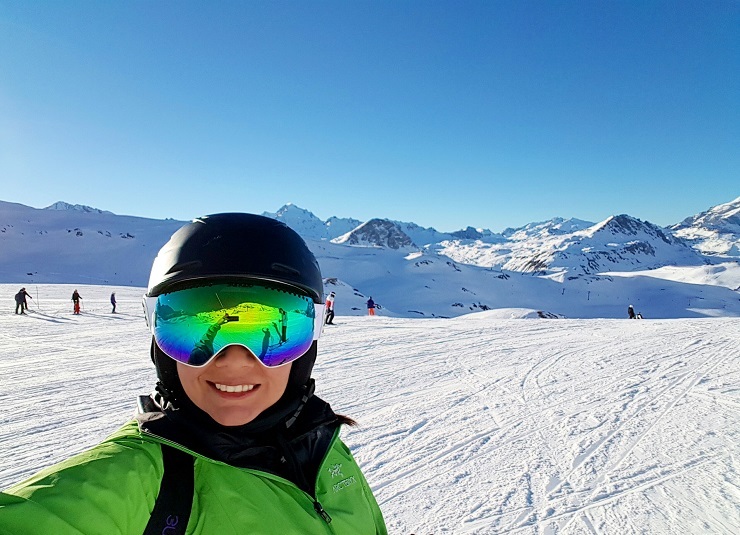 Thank you for reading this post ‘Best Ski Resorts in the world, chosen by Bloggers’ and for the lovely bloggers, who contributed. I hope that it helped you in deciding where to ski this season and gave you some inspiration to hit the slopes. I know that I have definitely added a few more resorts to my ski bucket list. Would you like to be in our next hiking collaboration? Do you have a favourite place to ski in the world, I would love to hear all about it and share in our next collaboration? Just comment below or simply fill out the Contact Form on my contact page. Then I will be happy to send you out the template and the requirements. Happy Skiing and enjoy your adventure!!!!!! Disclaimer: This is a Guest Post and all views are based on the bloggers above own experience. 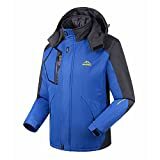 Remember that you always need a good Ski Coat before your next adventure. Oh a true winter wonderland! I’ve never been on a ski holiday before, but this makes me want to go so badly! Thank you for sharing this! You can definitely go on a ski holiday now without actually skiing. There is so much more to a resort these days from the wine to the amazing food. There is so much more you can do in a ski resort these days and I definitely add a few more of these places to my ever-growing list. What a great read. I’m in envy because we don’t get snow in Brisbane, Australia. I have experienced Mt Titlis in Switzerland. I really love the photos, which capture the great locations. I am originally from Melbourne Australia and I learnt how to ski in Mt Baw Baw, a tiny little resort. I have been to Mt Titlis too but only to go up to the top. I would love to ski there one day. I trust these recommendations because they were given by fellow bloggers. Although I’m not a huge fan of sliding on snow (having tried skiing and snowboarding more than once), I can certainly appreciate the beauty of the landscape. And of course, the best thing about winter sports is the après-ski! These look absolutely beautiful!! I want to go to the one in Switzerland SOOO BAD! These pictures are incredible! Winter has always been favorite season, and so is the snow. 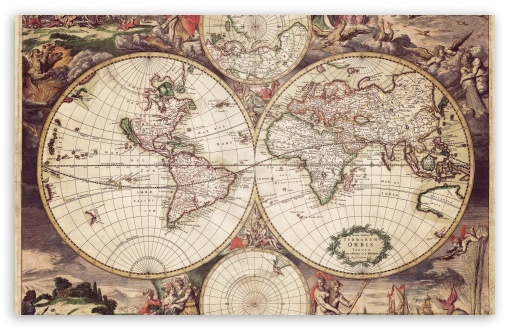 Very fascinating blog, thank you! Thanks very much but what was so fascinating about it. They are recommendations on ski resorts. 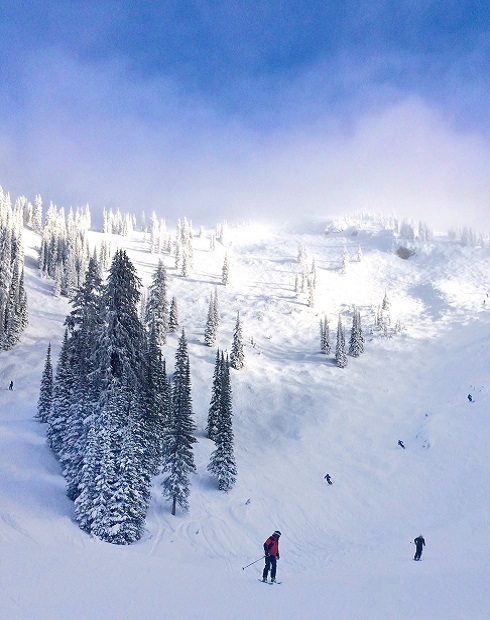 The Revelstoke Ski Resort, in British Columbia Canada looks amazing! I am so ready for an adventure,this post really sparks my wonderlust! I want to add Revelstoke to my skiing list too. Canada is definitely a bucketlist country for me. This is a great read, especially for a very beginner skier like me. I have to say, I’m so tempted by the apres ski activities at Val D’sere and may just spend more time in the bars and restaurants than on the slopes, ha! I think I would avoid the scariest ski slope in the US, just because I’m a beginner, but it does look beautiful! The best thing about ski resorts is the apres ski, I have to admit I love it. There is so much more to do in resorts these days other than skiing. I have definitely added a few more resorts to my list. Wow…. beautiful!!! I grew up skiing at Snowshoe in West Virginia! Where in West Virginia? I have never tried snowshoeing before. What a truly wonderful resource you have created here. They all look so enticing and who wouldn’t want to visit and experience each one of them. Andorra was the real surprise for me, probably because it is not promoted as heavily as other ski countries that have larger tourism advertising budgets. 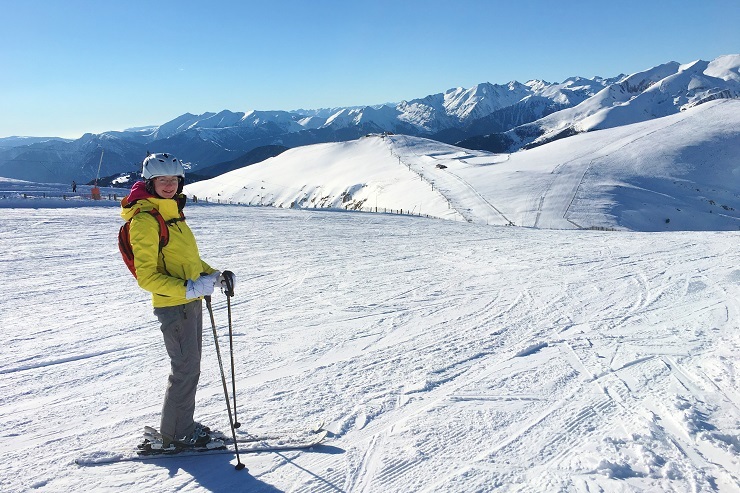 For your next ski collaboration, our current blog post happens to be on skiing in Italy and we would be happy to share if you would like. Thanks again for such a lovely collaborative post and best wishes for a wonderful Christmas! Don’t worry I want to experience them all too and I can’t wait to go skiing next week. 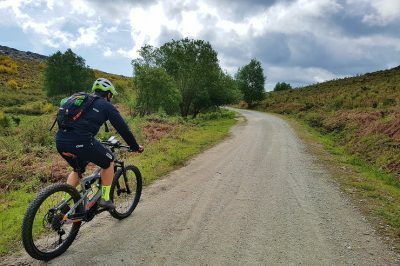 I have also been to Andorra and it was an unexpected surprise for us as well. 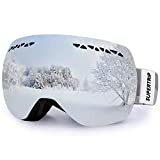 I am skiing in Bosnia soon and it will be interesting to see what that is like. Where are you skiing in Italy? Definitely can be in the next collaboration for sure. I haven’t been skiing in years, but this post makes me regret that decision! My favourite ski resort used to be Killington, Vermont. It has nothing on the gorgeous spots you’ve gathered though! 😍😍 Great roundup! 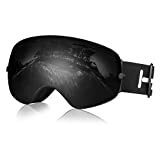 You know that can definitely go skiing resorts these days without skiing, as they offer so much more off the slopes. I definitely have would love to try skiing in Vermont, I spoke with those guys when I was at the ski show. Great blog. There were a few locations on there that piqued my interested, as I didn’t know they had resorts. Being from Canada, you have definitely captured some of the key skiing sites. One of the other things to consider is the heli-skiing opportunities that get you off the beaten path. Happy Holidays! Thank you very much and don’t worry there are a few locations I didn’t know exists either until I put the collaboration together. 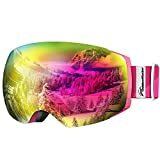 If anything this has made my ski bucket list even longer now. Love the recommendations. Breckenridge in Colorado, USA is one of my favorites 🙂 Looking forward to visiting Zermett to ski two countries in one day! I not heard of Brekenridge but I have always wanted to ski in Colorado is definitely on my bucket list for sure. I really love this post!! It’s hard for one person to be an expert on something all across the entire world, so I really admire that you called on a handful of people to help gather a broad list of favorites. I don’t ski so I haven’t been to any of these and probably won’t, but I love the teamwork here!! Beautiful photos too. 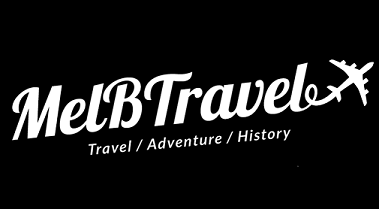 Thank you very much and I agree, I really enjoyed putting this together and getting inspired by other travel bloggers of their resorts around the world. Some of the places I hadn’t even heard of before. These are some absolutely beautiful resorts! I know so far only Ski resorts in Switzerland and Austria and mainly the Suisse ones are often quite pricy. But especially all the US and Canadian ones here look amazing. 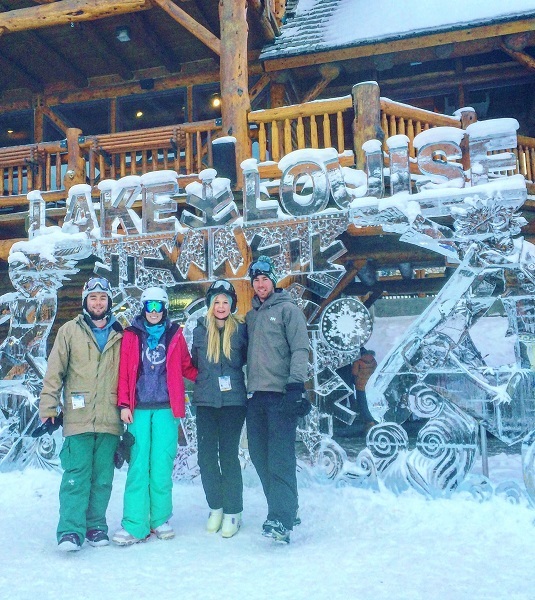 The Lake Louise Ski Resort Ice sculpture looks really cool! I think my personal favourite would be the Val d’Isere Ski Resort in France, also because of the soft snow and that beautiful surrounding. I agree I have added more to my ski bucketlist now especially Alaska & Japan. I went to Val d’lsere on a press trip last year and I loved it so much and I highly recommend it. I dont ski but every winter I get reminded that I should! And living in Switzerland I really should taking advantage of the slopes even in winter time! I totally envy skiers because it looks so much fun and they look so cool! If I was a skier I would love to try skiing in Japan because it is such an usual place to go skiing! And how awesome wouldnt it be to be drinking hot sake between the rides? I have been to Champery but only on the summer but it but be a beautiful place to ski in winter! You live in Switzerland and don’t go skiing? I will be in Davos and St Mortzie Switzerland in the middle of January and I am really looking forward to it. There is so much more that you can do in ski resorts these days other than ski :-). I also went to Champery in summer and loved it, it was so pretty. What a beautiful blog post! The pics are amazing – you really make me gonna skiing next week. Thank you very much and Merry christmas to you too. Definitely interested to visit there. Ski-ing is such a beautiful sports. Interested where there is 11 resorts on here? Although I am not one to ski, I find Ski Towns and Resorts to be quite fun because of all the coziness and of course the chance to play in the snow and being an avid photographer it’s always fun to take photos in the winter time. A great list of places that I am sure is helpful to those that ski, but as also makes for a nice list for mountain destinations. These days there is so much more to do in Ski Resorts than ski. I agree with you they are beautiful to take photos of even if you don’t ski. Snow just makes everything look beautiful. 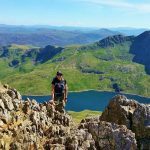 I have also been to some of these in the summer and you are right they are a good list of mountain destinations for any time of year. Okay MelB, now I’m having dreams of snow chalets and ski trips! Hot chocolate by the fire and stunning mountain views. From British Columbia to the Alps and everything in between! Definitely a must read for any skiing enthusiast. Even if I don’t like skiing, the scenery is so worth visiting! Hey, I might even have to learn how to snowboard! Great Collab Mel! 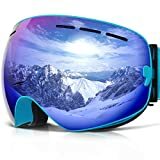 I just love the mountains and I added so many more to my ski bucket list. I’ve never been skiing. This inspires me to look into trying! I haven’t been skiing – ever. Yet this post definitely makes me want to push it up to the very top of my List of things I want to do! You have to try at least once it is such a fun thing to do even for a weekend. I’m not a skier, but if I ever decide to take it up, I’ll know where to go now. I’ve been to the Canadian mountains, in the summer for hiking, and they really are fantastic. Would love to check out more mountains globally. You can do so much more these days than just skiing in a resort. Great places to eat and drink and not to mention Spas!!! When I read the title, I thought if I didn’t see Canada in this post, I’d be disappointed, but hey – it made it three times! I love skiing at Lake Louise and Revelstoke, there’s nothing like a gool ol’ Canadian winter to hit the slopes in! The Alyeska Ski Resort in Alaska looks so pretty too. I have skied all over the world and next week, I am heading to Bosnia to ski which I am super excited about. However, I have yet to go to Canada to ski and it is a dream for me to do so. I hope to get there one day. Wow! I can’t believe how picturesque these stunning locations are. I haven’t been skiing in ages, but I love these handpicked choices based on other bloggers’ suggestions. I’d love to at least cross one of these off the list, perhaps the French Alps. 🙂 Thanks for this list! I love the mountains to and I can’t wait to be up there again next week. I hope that you get to try skiing one day too. Wow! Such an outstanding blog. 🙂 This inspires me to look into trying. I love the mountains. Thank you so much for sharing especially beautiful pictures. I love skiing and I am off next week to Bosnia then Switzerland to ski. I hope you get to go soon too. Don’t worry I added a few more places to my bucketlist for skiing.